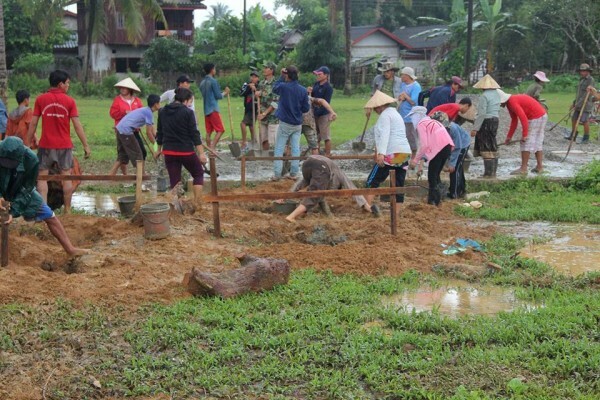 We’ve made a lot of progress with our charity efforts over in Laos and have raised enough money to start building an elementary school in a small village called Vieng Xay. Donations can still be mailed to the Stockton Presbyterian Church at 22 S Main St, Stockton, NJ 08559 to see this project come to completion. Here is a photo from the first concrete pour for the foundation of the school. Stay tuned!